The Anywhere Fireplace Gramercy is a small tabletop fireplace that’s easily portable and creates a unique look in your home. This little fireplace adds a touch of contemporary elegance to any space! It’s perfect for outdoor and indoor use and can easily be used on a tabletop or on the floor. Because it’s portable and lightweight, you can easily move it from room to room and enjoy a warm fire wherever you wish. Perhaps you’d like to read on the outside deck on a chilly afternoon. Just set up the Anywhere Fireplace Gramercy and you’ll be cozy while you relax. So here are a few features you should know about the fireplace. It has glass and outdoor coated metal so you can easily use it inside and outside. It’s completely ventless and needs no chimney and no gas or electric hookup. 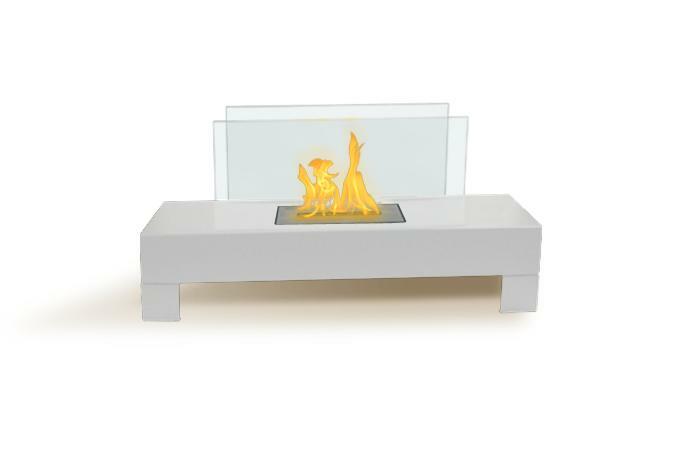 Finally, the fireplace burns eco-friendly Bio-ethanol liquid fuel made specifically for fireplaces. This fireplace is odorless, smokeless, produces no ash and is nontoxic and non-polluting. Whether you’re having a party, relaxing with a small gathering of friends, enjoying a movie night with the family, or having a romantic evening with your sweetheart, the Anywhere Fireplace Gramercy will set the perfect mood instantly with its lovely and warm dancing flames.